Kimi Raikkonen may insist that Lotus cannot dig any deeper, but the squad needs to address its form quickly as its Formula 1 championship challenge risks stalling. The Finn established himself as Sebastian Vettel’s main title threat early on, as Lotus’s excellent tyre management helped him win in Australia and regularly finish on the podium. Raikkonen held second in the standings until Spain, at which point he was only four points shy of Vettel. But the Lotus driver has been unable to keep up his consistent form, and his cause was not helped by a collision with Sergio Perez in Monaco and then tyre struggles in Canada. The extent of Raikkonen’s woes is highlighted by his points tally from the last four races, where he has not only been outscored by Fernando Alonso, Nico Rosberg and Mark Webber, but he has also lost a whopping 41 points to Vettel in the standings. From breathing hard down the neck of Vettel early on, Raikkonen is now 44 points adrift of his Red Bull rival. With a gulf now opening up between Raikkonen and Vettel, Lotus is well aware that it will need to start producing race wins if it is to close that gap quickly enough. Raikkonen’s laidback attitude off track may give the impression that he is as relaxed on it when it comes to results, but he is adamant Lotus is giving nothing less than 100 per cent to try to win more races. “We always try and win,” said Raikkonen. “It is not going to just change our race result if we try to do something different. “We have mostly had the speed, and we will keep trying, but there is not just a way to be more aggressive and you have a better chance. We always try that. Lotus boss Eric Boullier told AUTOSPORT in Montreal that he expected his team to be back at the front at the British Grand Prix, thanks to a speed boost from car updates and F1’s return to more normal high-speed tracks. The statistics from the last few races have highlighted, however, how essential it is for Raikkonen to do exactly that, just as his strong form earlier in the year has left rivals not ready to write him off just yet. Red Bull boss Christian Horner said: “I think ultimately you cannot write off Kimi. Lotus owner Genii Capital has sold a 35 per cent stake in the team to new investor Infinity Racing. After a long-running effort to find suitable partners, Genii boss Gerard Lopez has agreed that the Infinity Racing group – made up of private investors from America, Abu Dhabi and an unidentified oil producing nation – will take a minority shareholding. Lopez will remain chairman of the Lotus team, with Eric Lux, who is CEO of Genii Capital, continuing on the team’s Board of Directors. Speaking about the move, Lux said: “As Lotus F1 Team results have continued to improve every year, we have been waiting for the right investor who will help make the jump to the top spot in the constructors’ championship. “In Infinity Racing, we have found a partner with the right connections in addition to technological expertise and a global reach in major markets with key sponsors to achieve this goal. I cant believe he’s so far behind Vettel already. So sad to think that Kimi was actually ahead of him a few months ago. Lotus does not have a winning formula or form to take Kimi back to the top. Lotus is exactly where they were again, a year ago. Expect much of the same for the rest of the season. Let’s hope he moves to RedBull. Don’t trust that Mansoor guy…talks big much. Talk is cheap. Actions speak louder than words. Shy? Lotus is a crap car. Period! I don’t know what to think about Infiniti Racing buying a stake in Lotus…. Will there be any conflict if RBR and Lotus are fighting for the top positions now?? I hope there will be continuity and same priorities as before – win both WDC and WCC. Just read a little more about this in other sites and realised Infinity Racing has no connection to RBR Infiniti. Phew! Clarified my own confusion. Guess this means Lotus will have more $$ to go racing now, which is good news. I think we should be realistic, it would be difficult for us the rest of the season. The pace that the bulls n alonso showed in Montreal was quite impressive n the Mercedes have greatly improved their tyre-management. We’ll have a clearer view after Silverstone, if the weeknd is ‘normal’, what to expect from the rest of the season. Personally i’ll be happy if Kimi regularly ends on the podium n brillantly wins in Spa. A victory in Monza will also be awesome. Concerning the r.bull switch, it all depends on Kimi, if he really wants that seat, then he will be driving with a dark blue outfit nxt year. 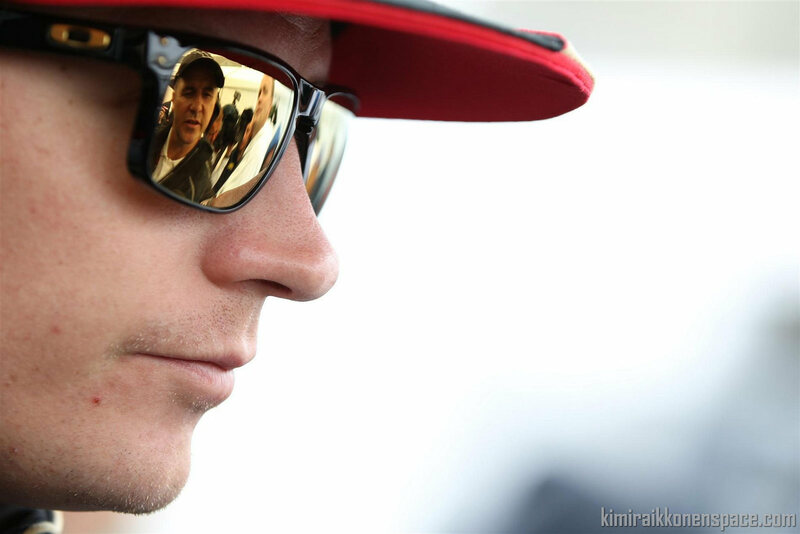 Next 2014: What will Kimi do next?